Ready for Cart2Cart latest update? Together with constant technology, Cart2Cart tries to do their best to expand possibilities of automated data import. From now on, you get a chance to perform migration from Lightspeed to the more suitable solution effortlessly. Skip the worries about the information transferring pitfalls and data losses with the accurate Lightspeed export. Migration Insurance in case you want to run the transfer over to make some changes. 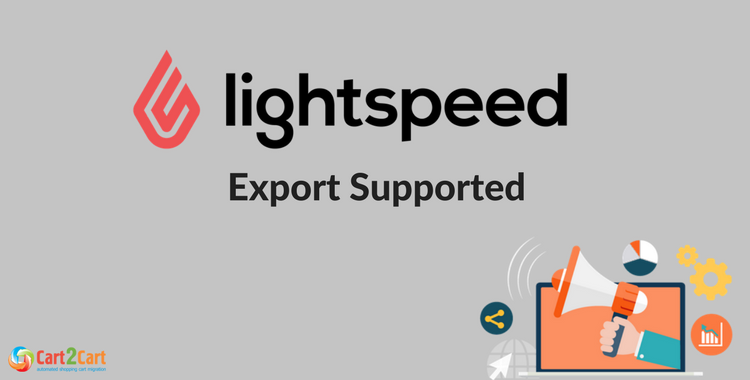 What Entities Can be Transfered during Lightspeed export? Change products quantity to 100 on the existing solution. So, manage your online store easier with the more advanced eCommerce platform. Launch a free Demo Migration to explore the newly-gained possibility in action!